Just in case you missed the most recent escapades of everyone’s favorite Mad Fat Girl, get it for FREE on Amazon. Enjoy! Snow deep in a winter wonderland, misadventures abound as Ace Jones is thrown face first into a dream come true. Don’t miss this special release from Stephanie McAfee. At the end of Happily Ever Madder, Ace Jones has packed her bags and hit the long road back to Bugtussle, Mississippi. With her dream life smoldering in Pelican Cove, Ace’s tolerance for idiots is at an all-time low and she soon finds herself sitting in a Lee County courtroom. Facing possible jail time, Ace knows she needs to change her ways. Her two best friends, Lilly and Chloe, have become concerned about Ace’s sanity and blind side her with an intervention. 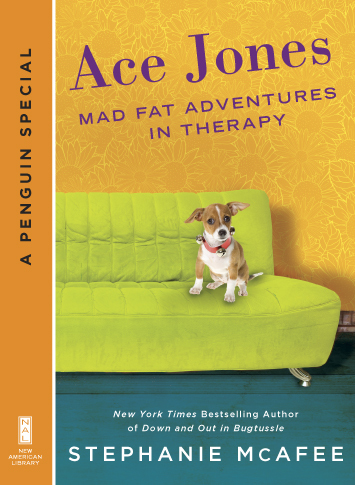 Desperate for a little peace of mind, Ace embarks on a hysterical journey through the wide world of mental health. Get this Li’L Mad Fat Shorty today! Click to buy for Kindle, Nook, Kobo, Sony ebookstore, or Apple iBookstore. No ereader? No problem! You can download iBooks on your iPhone (search iBooks in App Store or click here). Android has the Aldiko eBook Reader App (search Aldiko in App Store or click here). Don’t like to read on your phone? Me either! So here are some links to FREE downloads for ebookstores on your tablet, PC, or Mac! Thanks so much! I hope you laugh yourself silly!